Jerk chicken, peas and rice, and slaw from Hole in the Wall Restaurant. As was also the case with must destinations in the Caribbean, our local dishes and flavours have evolved from the necessities and way of life of bygone times. Local cuisine in the Turks and Caicos has traditionally centred around fish, lobster and conch caught in the islands, complemented by locally grown and imported grains, cereals and produce. As tourism has increased to the islands, local flavours have been overshadowed by international cuisines at many of the restaurants in the main tourism district of Grace Bay, yet it’s still possible to find some of the long-standing and popular Turks and Caicos dishes such as fish with peas n’ rice and fish stews at some of the establishments in the Downtown, Blue Hills and Five Cays settlements. As a tropical archipelago nation, seafood of course was and still is the centre of many of our authentic dishes. Fish, including grouper, snapper, jacks and tunas are some of the top catches, and would be pan-poached, fried, and made into stews. The giant conch sea snail is another seafood favourite and factors into the country’s best dishes. Conch also had the advantage of being able to be easily preserved by drying in the sun, and consequently was carried in conjunction with corn bread “journey cake” and as provisions on fishing and trade boats. The spiny lobster was appreciated just as much in the past as it is today. In the past and in northern regions, the red lobsters of the colder Atlantic water were considered to be undesirable seafood, and were thus collected by the poor. In the tropical Atlantic islands, there isn’t evidence of such a preference, perhaps because lobsters offered a welcome change from fish-centric diet. 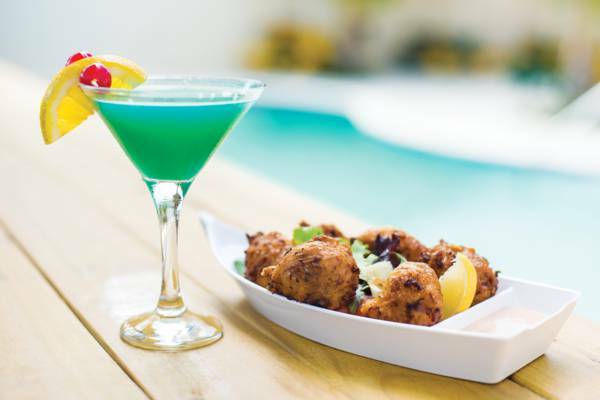 Coconut Grove Restaurant's take on the classic conch fritter. Due to the limited fresh water and soil in the Turks and Caicos, it’s always been difficult to raise crops here. Several varieties of drought and pest resistant plants such as types of maize, okra, beans, squash, papaya and plantains saw greater success and were the favoured choices. Paired with fish or conch, peas and grits was the favoured side dish in the past, and was made from locally-grown pigeon peas and maize, which was hand ground. As time progressed, trade with other countries increased, and imported rice gradually replaced the maize. Today, peas n’ rice is by far the most common compliment to local seafood dishes. Trade between the Turks and Caicos archipelago and the island of Hispaniola has existed since the days of the Taino aborigine peoples, and it’s surprising how similar the dynamics were over several centuries. The people in the islands changed have over time, yet collected sea salt and dried fish and conch would still be exchanged for produce from the greener island of Hispaniola. The Taino’s giant dugout canoes conceded to the Caicos Sloops, yet the same driving force continued. Much of the country’s produce is now imported from the United States, yet trade with the Dominican Republic and Haiti still occurs, and this is reflected in some local supermarkets where plantains, guava, salt fish, sugar cane, and sugar apples are offered. After the collapse of the sea salt industry and sisal plantations, the Turks and Caicos lost much if its national income, and consequently saw significant population migration to neighbouring countries such as the Bahamas and Jamaica. After the advent of the tourism industry in the Turks and Caicos in the 1980s and 1990s, the emigrants from the country began to return, and they brought regional flavours and recipes with them. Two such examples are the fried conch fritters and conch salad, which have a heavy Bahamian influence. On the spicier side, jerk chicken, fish and pork dishes were made popular introduced from Jamaica. As the luxury tourism market has increased in the Turks and Caicos, it has attracted talented chefs from around the world. There’s a tremendous selection of fine dining restaurants to choose from, and many of these establishments offer dishes inspired by our island’s food classics. 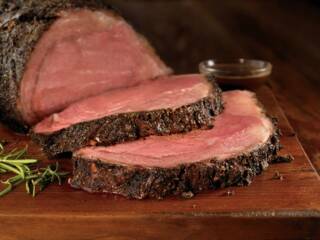 Outback Steakhouse is one of Providenciales newest restaurants, and is located within the Regent Village in Grace Bay. Serves a custom menu along with traditional items. 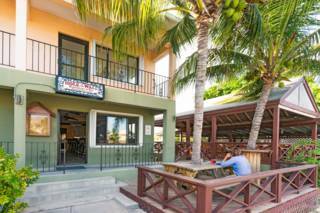 Coconut Grove Restaurant is found in the heart of the Downtown region of Providenciales and features a relaxing poolside setting. 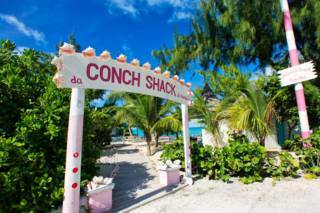 The menu offers a range of classic Turks and Caicos dishes, fresh seafood, and mixed drinks. Open from 11am to 10pm. 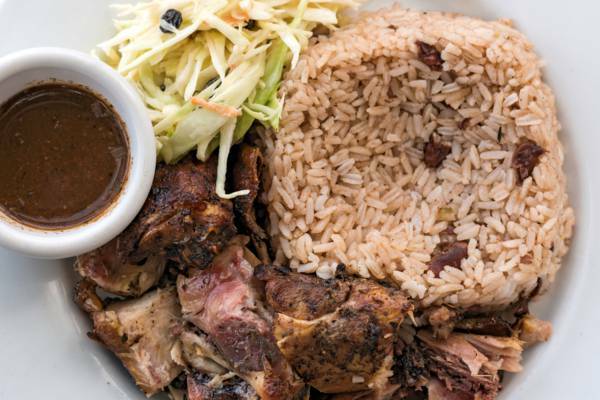 Popular Downtown Restaurant serving Jerk and local fare. Located in Williams Plaza on Old Airport Road. Kalooki's is located at the Le Vele Plaza in Grace Bay. The cuisine can be described as a ‘Twist Of The Caribbean’ with many of the items on the menu influenced particularly by the Turks & Caicos and Jamaica. Many our sauces, dips and chutneys are infused with mango, tamarind, papayas or passion fruit.